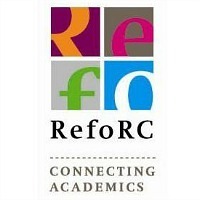 The Fifth RefoRC Conference 2015 will be held May 7-9, 2015 and will hosted by the Katholieke Universiteit Leuven. Short paper submissions and registrations can be submitted via the registration form. In recent decades, the field of transnational/transregional history has yielded novel insights: the constant movement of persons, goods, ideas, books and images across boundaries induced a transfer of culture and knowledge shaping the early modern world much more profoundly than previously thought. Although alert to the universal aspect of religion, theologians and (church) historians are only starting to apply this methodology to the study of religious reform in the sixteenth century. The conference aims to emphasize the shift in the field of Reformation Studies to a cross-border and multi-confessional approach: How were religious exile, confessional identity and transregional transfers connected? What were the routes and networks of religious reform, along and across borders? How did the printing press support transregional exchange? In what ways did global, transregional and local dimensions of religious reform interact? The Fifth RefoRC Conference Leuven explores transregional dimensions of the Catholic and Protestant Reformations in the early modern period. Short paper proposals need to be submitted via the registration form before 15 February 2015. General communication of the conference is in English, but also papers in French and German will be welcomed. Presenters who prefer to give their paper in French or German, are invited to provide the audience with an English summary of about 150-200 words. You can register online. Your registration will become effective on receipt of your payment. Closure of registration: May 6, 2015.